Mary Ellen and I are continuing our extended Sabbatical Road Trip. Initially we arrived in Indianapolis on April 16, 2014. The highlight of this first visit was Easter family dinner at Mary Ellen’s sister Susie’s home. Then we headed south, and I mean really south, y’all! Honey child, you ain’t been south until you been down to Sweet Home Alabama! I was born and grew up in Montgomery, Alabama. As a child I learned to say “Save your Confederate money, boys. The South will rise again!” Yes, in the 1950’s people were still saying that. We arrived in Millbrook, Alabama, a suburb of Montgomery on April 22. After a few days of black eyed purple hull peas, cornbread, and sliced purple onion (Note: They are purple onions, NOT red onions) , we headed even further south to visit my brother Allyn and his family in Chipley, Florida. 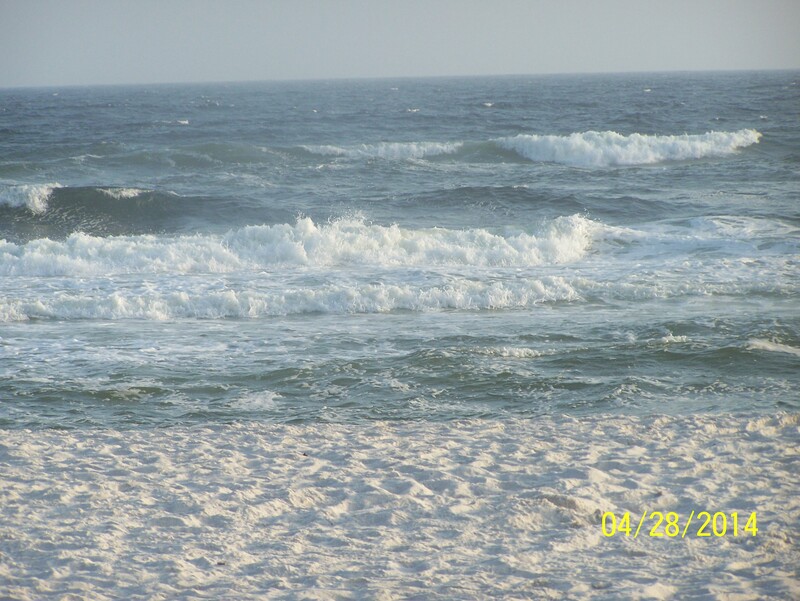 It is one hour north of Panama City Beach, Florida, one of the most beautiful beaches in the world. 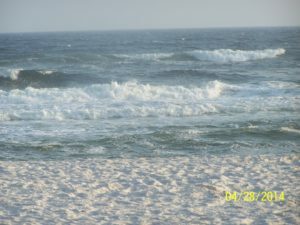 We stayed in Allyn and Connie’s beach house on Panama City Beach on April 27 and 28. Then a historic storm and flood hit the Florida Gulf Coast, centering on Pensacola, which is only 80 miles from Panama City. It rained and flooded so hard that Mary Ellen and I had to abandon ship and go hole up in a Super 8 Motel in Panama City for two days before the rain and flooding subsided. But we lived to tell about it. After an awesome meal at a local seafood restaurant, Dee’s in Vernon, FL, one of Allyn and Connie’s favorite places, we returned to Millbrook. There we traveled to my younger brother Joe’s home in rural Alabama. 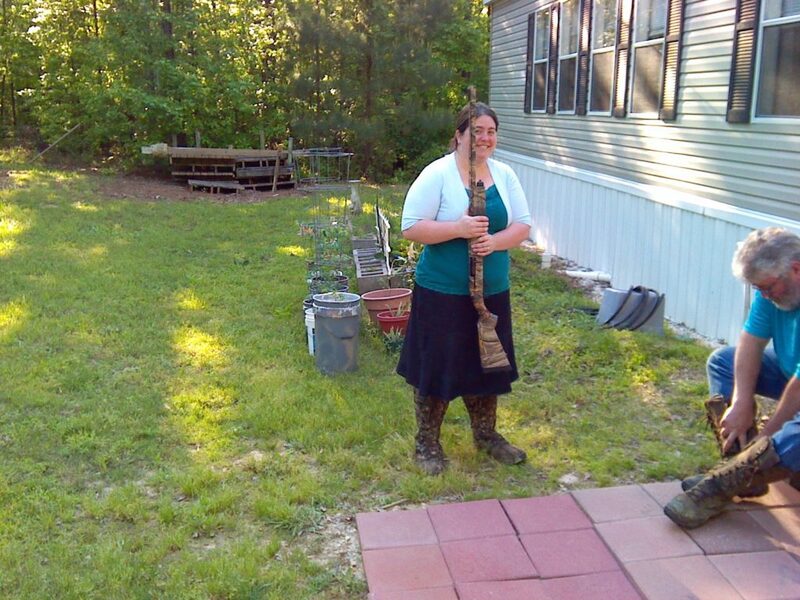 This photo shows him and his daughter, Linda, with their “snake boots” which are important in their neck of the woods. Don’t mess with my niece, Linda. She knows how to shoot that thing! Not that we focus on food a lot in Alabama, but we had fresh strawberries on ice cream on Monday, Italian food on Tuesday, Wednesday is my mother’s “Lunch Bunch” group, Thursday we had homemade hamburgers and fries with Joe and Tammie at “Ms. Vickie’s” in Montgomery. 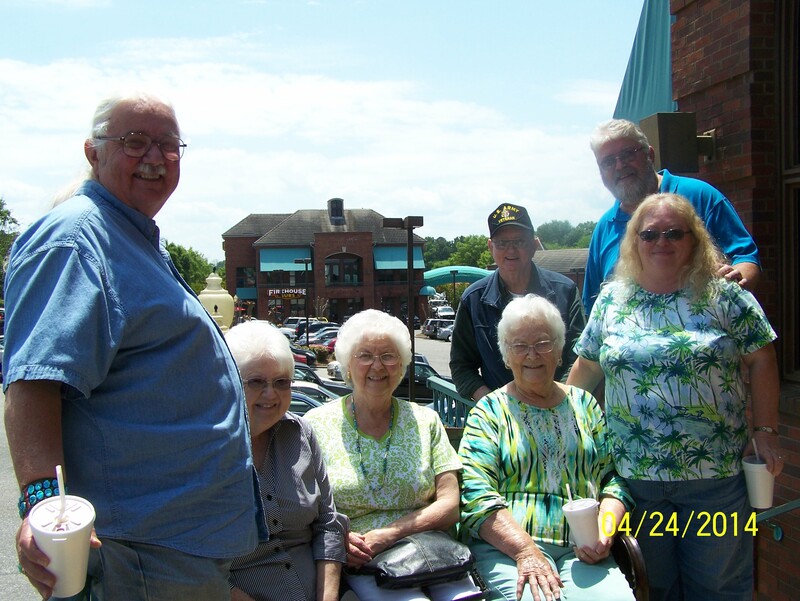 Below is a photo of an outing at a Mexican food restaurant with my brother Joe and his wife, my mother, and two of my father’s sisters and one of their husbands. It meant so much to me to be able to spend time reminiscing with my aunts about when I was a kid. 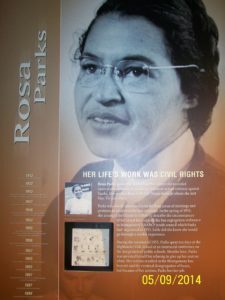 Mary Ellen and I had a “Civil Rights Day” in Montgomery. 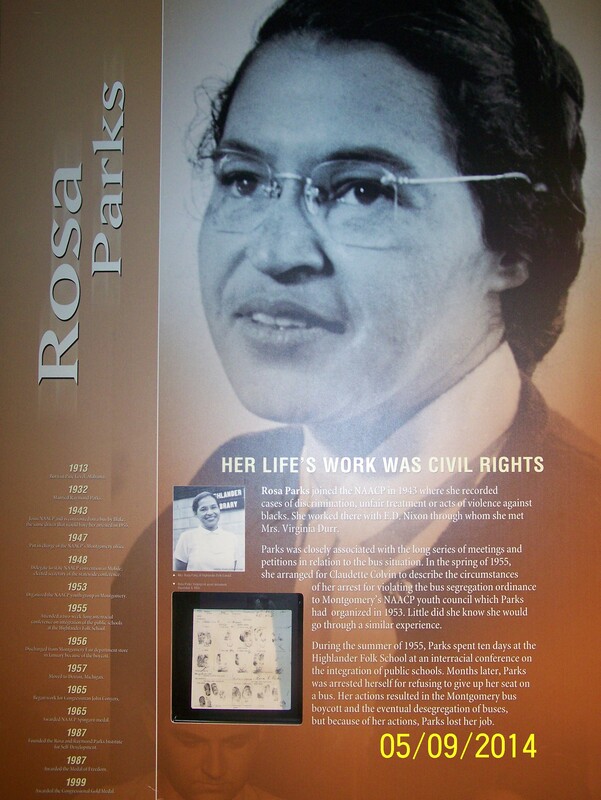 We toured the Rosa Parks Museum, which was very well done. We also went to the Dexter Avenue Baptist Church where Dr. King was the minister during the Civil Rights years. This was all very significant for me personally, because I had been a teenager in Montgomery in the 1960’s when all this was going on. I am now very happy to report that things have much improved in Alabama since then. On May 17 we went to a free Riverfront Concert on the banks of the Alabama River in downtown Montgomery. The crowd was mixed demographically very well. There were Blacks and Whites interacting well in this relaxed atmosphere. The keyboardist for the Rolling Stones was the headliner. He was smokin! We really enjoyed celebrating Mother’s Day with my mother in Montgomery. Here is a photo of us celebrating that day on her screened-in back porch, where we spent so much time while we stayed with her. The weather there was fantastic in April and May, perfect for sitting on the porch and watching the birds. We left Alabama on May 19 and spent two days with my sister Helen and her husband Bill in Hilham, Tennessee. I dare you to find it on a map. It is right past Rocky Top! 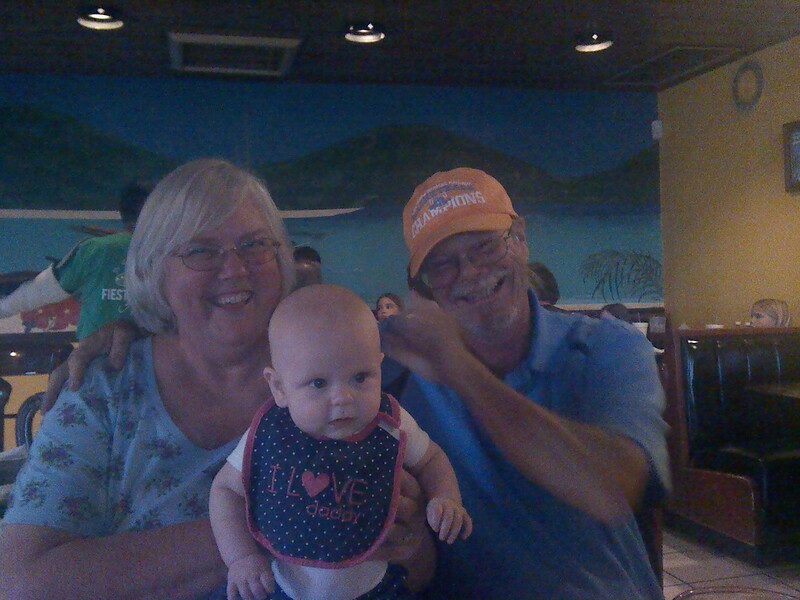 It was great to spend time with them again, and to meet their new granddaughter. On May 21 we arrived in Indianapolis. 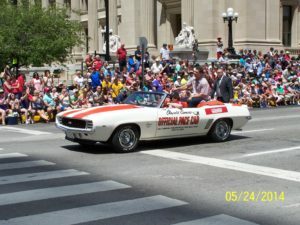 On May 24 I got to go with Mary Ellen’s family to the Indianapolis 500 Parade. It was a real highlight for me. I got to see Andrew Luck. If you don’t know who he is ask our son Ethan. It was one of the best parades that I have ever seen. 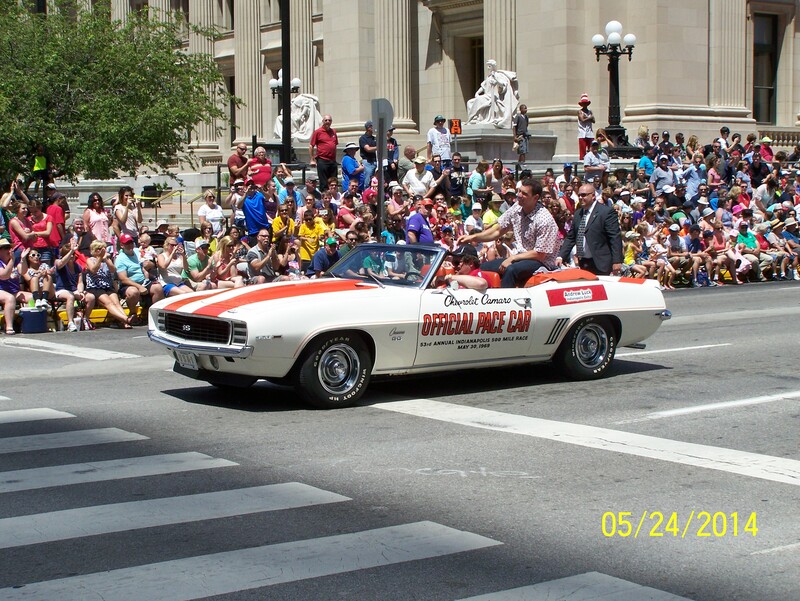 I loved all the classic 1960’s muscle cars and all the official Indianapolis 500 Race Pace Cars. A few weeks later we went to the Indianapolis Motor Speedway itself, and toured the museum where every car that has ever won the race is displayed, as well as other race memorabilia. 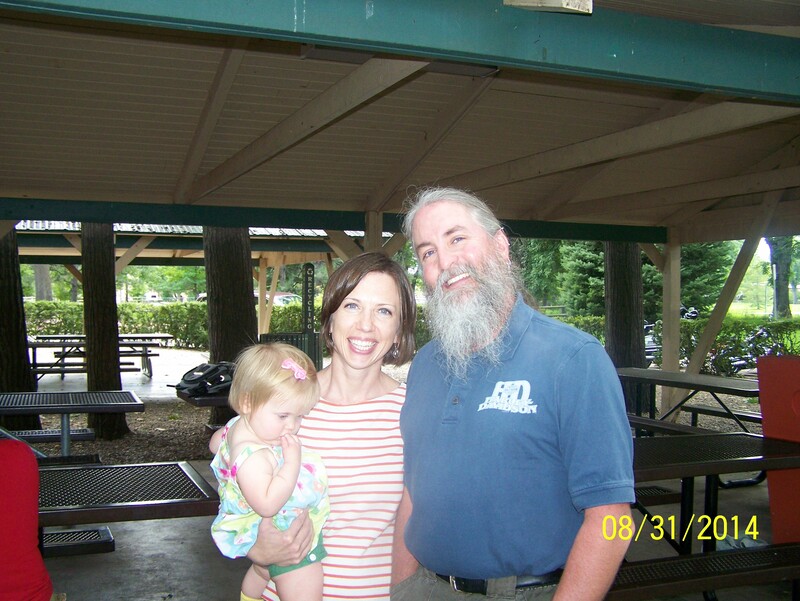 On June 2 we spent the day at the Indianapolis Children’s Museum with Mary Ellen’s brother John, his wife Margaret, and his daughter Jenny and her children. It is the largest children’s museum in the country, and is such an incredible resource. There are paleontologists that one can speak to personally in the dinosaur area, and we spent a good deal of time discussing the digs they have been involved with in South Dakota and Wyoming. 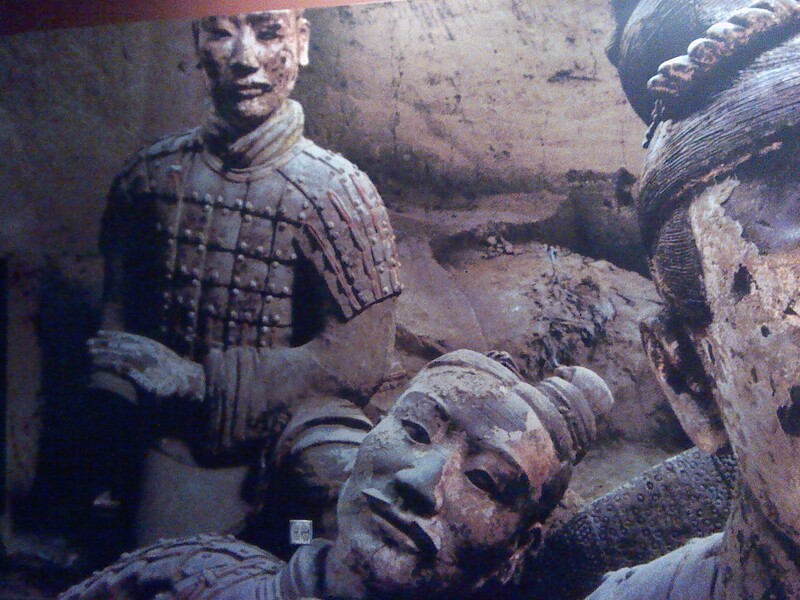 While there we were also privileged to see the Terra Cotta Warrior exhibit from China. On June 9 and 10 we went to where Mary Ellen’s mother grew up, in far southern Indiana, a little place called Floyd Knobs, right across the Ohio River from Louisville, Kentucky. In addition to her aunt, we got to spend a good deal of time with Mary Ellen’s counsins. We visited the Falls of the Ohio State Park while we were in the area. The museum there was very educational and detailed how the falls of the Ohio River in the early 1700’s led to the founding of Louisville and communities on the Indiana side of the river. The river was not navigable at that point so people had to portage around the falls. That led to early trading posts and settlements along the banks of the river. We also walked over the Ohio River on the new walking bridge between Jeffersonville, Indiana and Louisville, Kentucky. I had been fascinated by the Ohio River when we crossed it because it seemed so magnificent, so we had asked Mary Ellen’s cousin, Ruth Ann, if we could spend some time at the River. While in the area, we also got to spend some time with extended cousins and other friends whom we had met when they came through South Dakota previously. While we were in Indianapolis we spent a lot of time visiting other old friends of Mary Ellen’s family as well a lot of time with Mary Ellen’s mom, siblings and their families. We were a big help to her mom with yard work, planting and tending the vegetable and flower gardens, etc. We left Indianapolis on June 14 to head west. 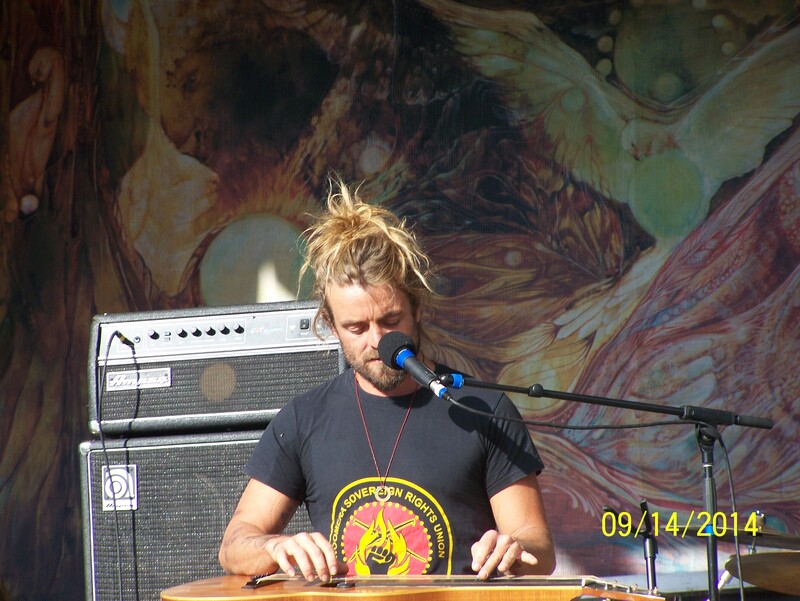 Back in South Dakota we attended a Sun Dance on the Wild Horse Sanctuary near Hot Springs on June 18. At one point some of the horses came right up to the Sun Dance to acknowledge what we were doing there. On the Summer Solstice we were invited to attend a traditional ceremony at Inyan Kara, which was very special to us. On June 23 I had the privilege of emceeing the screening of “Running Wild” at the Heartland Film Group, aka now “Alternative Altitudes.” The film is about the Wild Horse Sanctuary and Dayton Hyde, the founder. It was bittersweet for me as this was the last time for us to be at the film group in Rapid City that we had been so involved with for the previous two years. 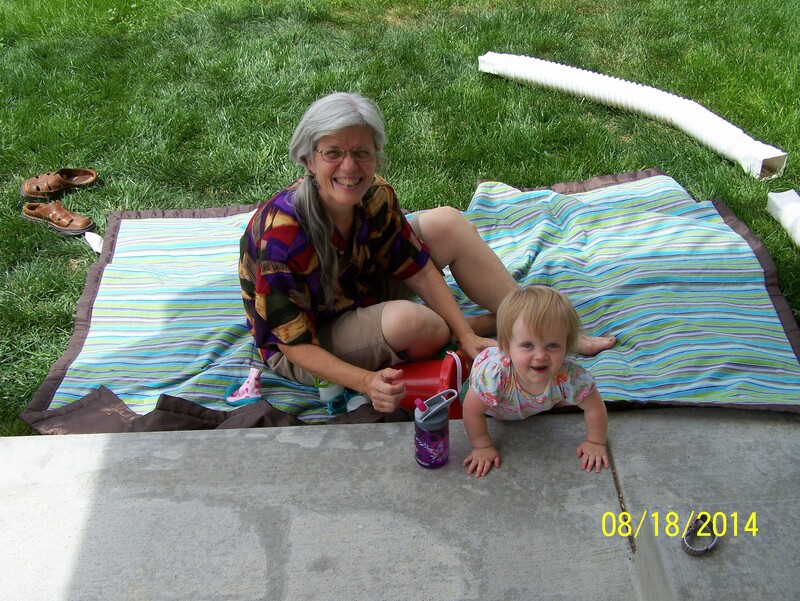 We spent two months in July and August in Fort Collins, Colorado with our daughter Emily and her husband Aaron, so we could help care for our granddaughter Elsie. We loved our time there very much. 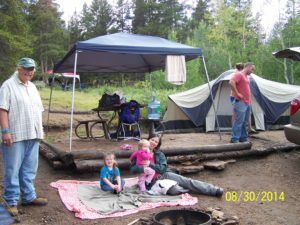 In addition to all of the quality time we got to spend with Elsie and her parents, we were able to visit Rocky Mountain National Park three times and the foothills outside of Fort Collins on a weekly basis. It is so beautiful there. This was at Sprague Lake in Rocky Mountain National Park. 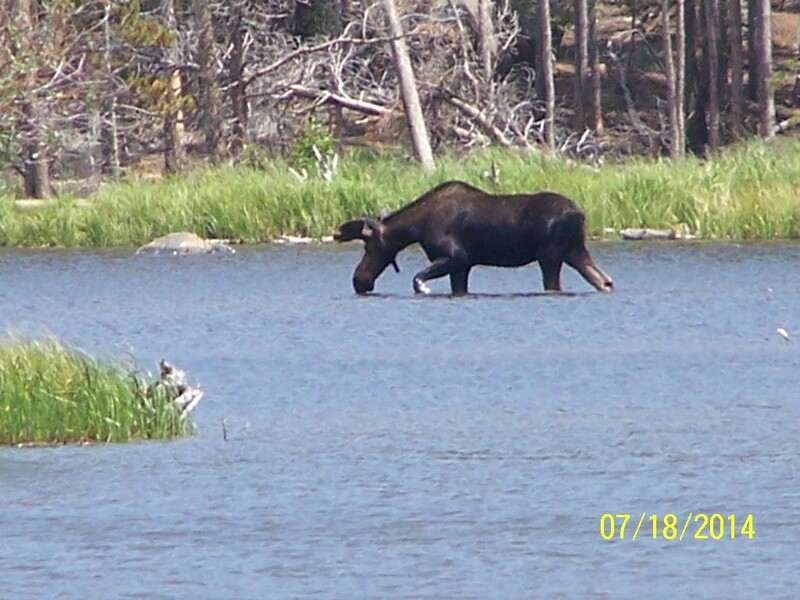 Not much later after this photo was taken we saw a moose meandering through the lake. He totally ignored the people around that area because after all, that was his drinking hole! 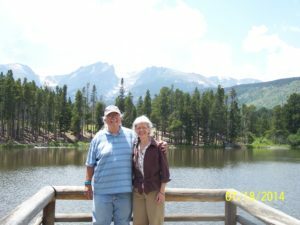 Another wonderful thing that we did in Colorado was to connect with our friends, David and Rose. 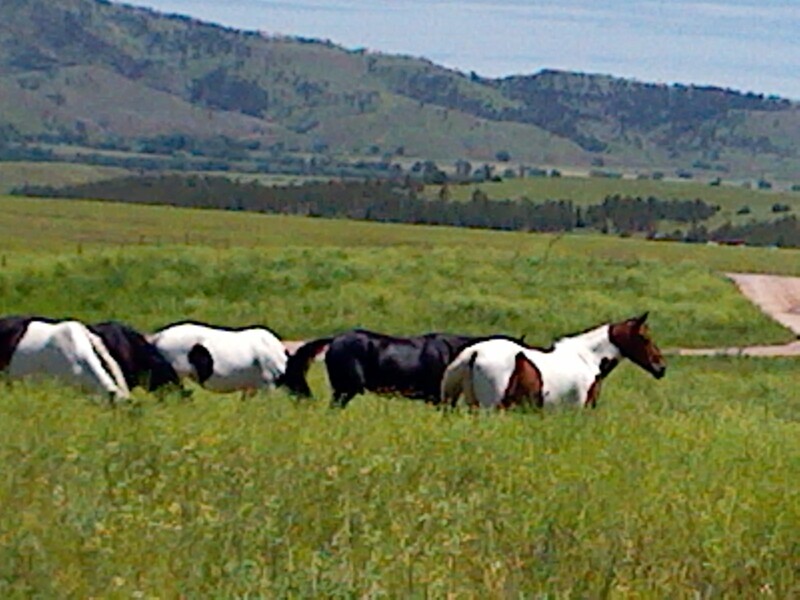 They live in a very beautiful area of the foothills of the Rockies. We first met them years ago at the Spiritual Unity of Tribes Gathering of Eagles. Serendipitously a few days after we arrived in Colorado we discovered that they were hosting Full Moon Drumming Circles at their home. 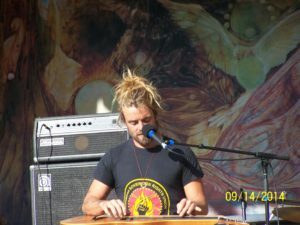 So we were able to reconnect with them and attend three Full Moon Gatherings there, meeting many new friends in the area. 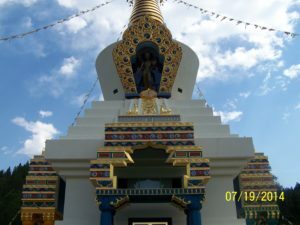 We visited the Great Stupa of Dharmakaya on July 19 with our friend Zackoree and then again a few more times before we left Colorado. It is in the mountains outside Fort Collins on the 600 acre Shambhala Mountain Center and is one of the largest Buddhist stupas in the world. 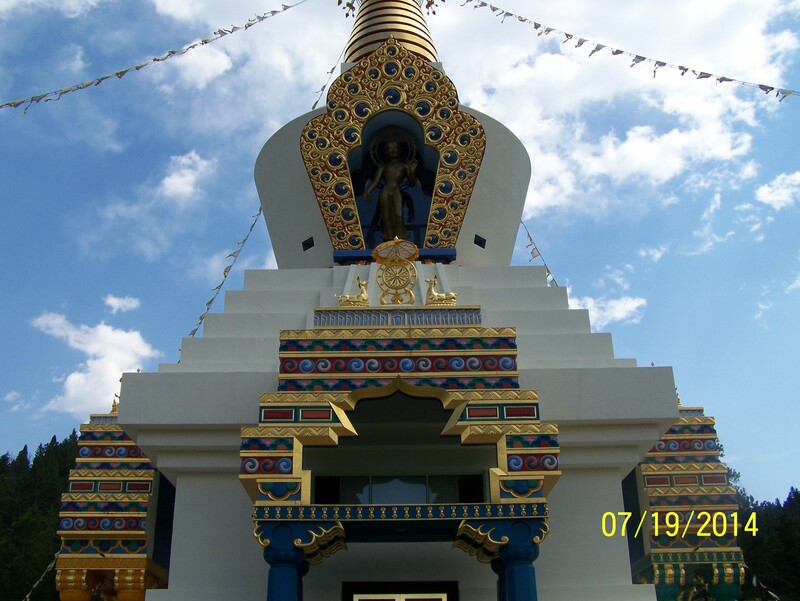 Built by volunteers over a 15-year period, it is dedicated to the Tibetan Buddhist teacher Trungpa Rinpoche, who was one of the first to bring Tibetan Buddhist teachings to the West. 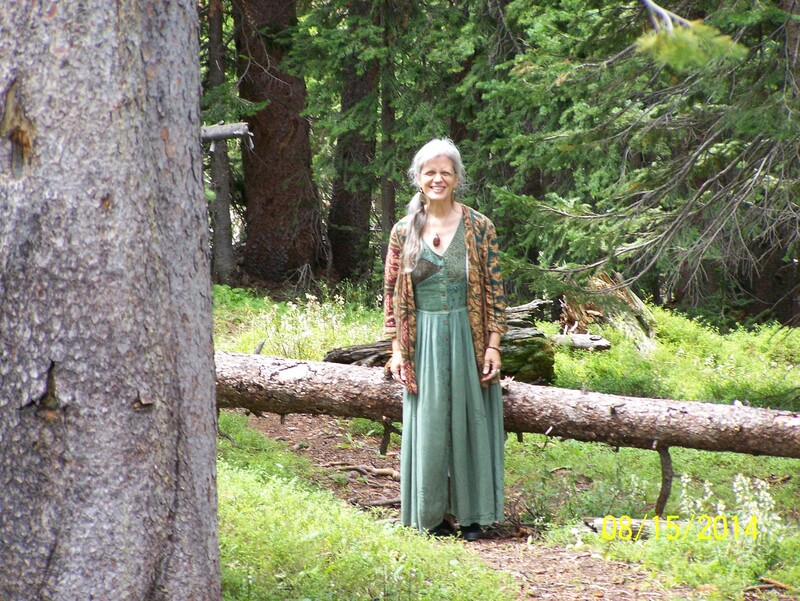 The Shambhala Mountain Center is a wonderful example of what an intentional community can be. Zackoree reminded Mary Ellen and I that we have been discussing intentional communities for many years. It may be time now for all of us to take a new serious look at this way of living. The Hopi prophecies years ago reminded us that the time of the lone wolf is over. 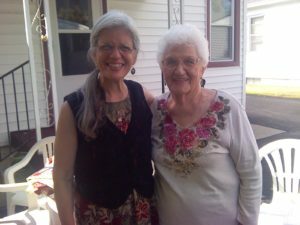 At the end of July we returned to the Black Hills so that Mary Ellen could participate in a planning committee meeting for “Gather the Women,” a national organization that brings women together in circle. While she did that our friends Cate and Mark took me on a hike in the incredible Bethlehem Cave area. It is known as the Grand Canyon of South Dakota, and is truly breathtaking. 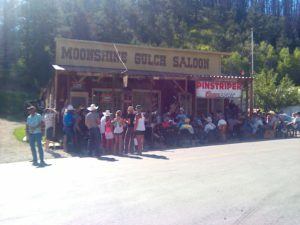 The next day the women held their monthly new moon circle while I went with Dale Jones and his friends visiting from France to the Moonshine Gulch Saloon, in the big metropolis of Rochford, South Dakota. Our friends Steve Thorpe and Victor Mandan had been playing there during the summer for a couple of years. On this day there was an unusually large crowd and many more musicians because it was one week before the Motorcycle Rally in Sturgis. Dale played his flute while Steve and Victor sang and played their guitars. The following Monday we returned to Fort Collins to resume caring for our granddaughter Elsie. Oh yes, and to be with Emily and Aaron, also (grin). 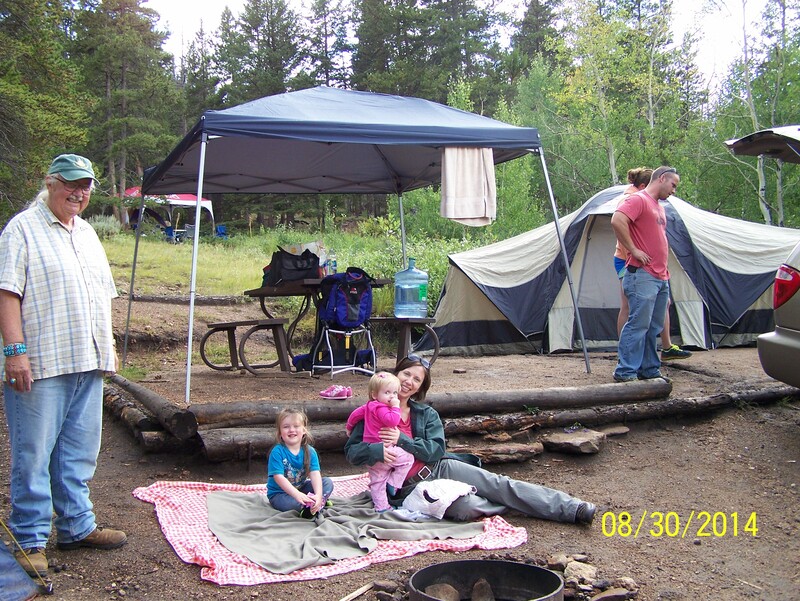 On August 1 and 2 we visited our spiritual adopted daughter Avalon in Boulder. It is such a cool place to be. Avalon and Ross took us to an incredible tea house, the amazing metaphysical bookstore and herb shops along the Pearl Street Mall, and we got a personal tour of the main Shambhala Center from a friend. We didn’t want to leave Boulder! On August 9 we attended another full moon drumming circle at our friends David and Rose’s beautiful off-the-grid straw bale home. It is led by Suzanne Rouge, a woman who practices alternative healing and follows Lakota traditional ways. She is actively working with using hemp in building construction, and plans to build an intentional community utilizing hempcrete. The people who show up at the drumming circle are really inspiring. At that meeting there was a South American shaman who shared some teachings with us, and each time everyone is welcome to share something with the group. The following week on one of our “days off” from caring for Elsie, we took a 13-hour drive in a big loop through the Rockies and back. From Fort Collins, we went all the way through Rocky Mountain National Park down to Grand Lake, up to Steamboat Springs, and returned to Fort Collins by way of Cameron Pass and Poudre Canyon. We certainly have fallen in love with Colorado. Here is Mary Ellen on a path looking for wildflowers to press in Rocky Mountain National Park in mid-August. Over Labor Day weekend Mary Ellen’s son Ethan and his wife Jessi, and their children Tavin and Teagan came to visit Emily, Aaron, and Elsie in Fort Collins and help celebrate Elsie’s first birthday. Below are Emily, Aaron, and Elsie at the party. 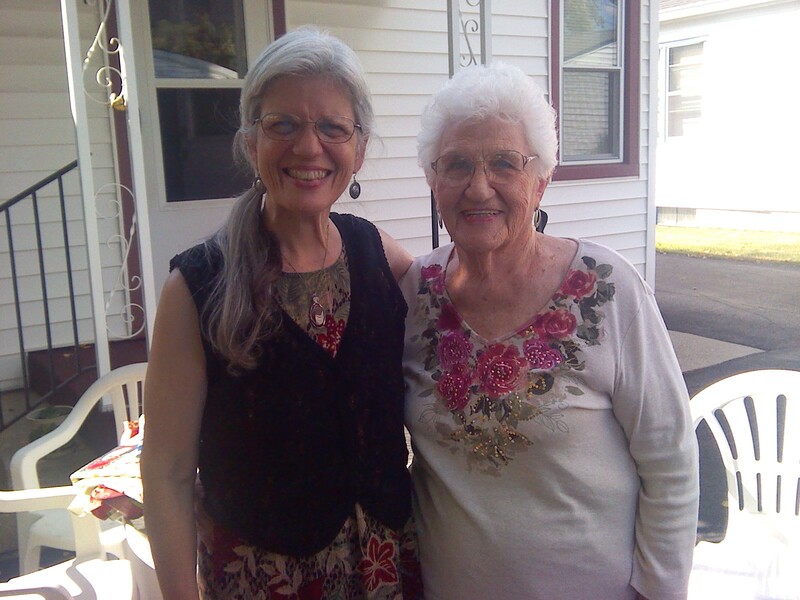 On September 21 Mary Ellen attended the “Gather the Women” international women’s gathering in Rapid City, for which she had served all year on the planning committee. It is held in a different city each year, and this year the Rapid City women offered to host the retreat at Terra Sancta. It was a very successful event, and Mary Ellen made many new friends. A few days later we traveled to Indianapolis to celebrate Mary Ellen’s 60th birthday on September 28 and her mom’s 86th birthday on October 3rd. It was very special because Mary Ellen’s two brothers from Hilo, Hawaii, and Portland, Oregon both were able to fly in for the occasion and join her other three siblings and their families who live in Indianapolis. Ethan and his family also drove to Indianapolis for the week. Their daughter Teagan really hit it off with Grandma Rita and the rest of Mary Ellen’s family. It was the first time for her to meet almost all of them. The following weekend we had a joint celebration for the rest of us having birthdays in October. It was a lot of fun. The photo below was taken of Mary Ellen and her siblings with their mom that afternoon. 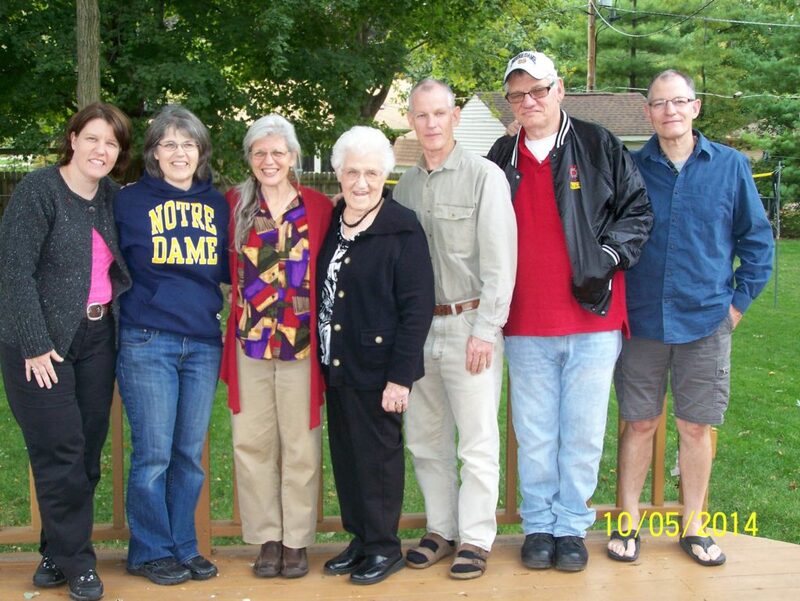 From the left are Karen from Indianapolis, Susie from Indianapolis (yes, she did go to Notre Dame, as did their brother who has already passed and their dad), Mary Ellen, Rita, Tom from Hawaii, John from Indianapolis, and Joe from Oregon. 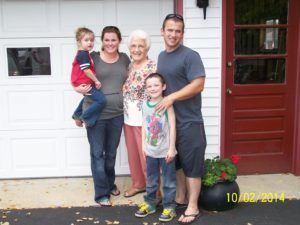 Being at her mom’s home has been very special to Mary Ellen, since it is the house where they lived when she was born and she has so many great memories of growing up in this house and neighborhood. Many more adventures await us as we continue our journey down the road. We will be leaving Indianapolis on November 6th. We’ll be heading back down to the South to spend Thanksgiving with my mom and family. Please leave some comments below in the reply section, if you’d like. Love to all. 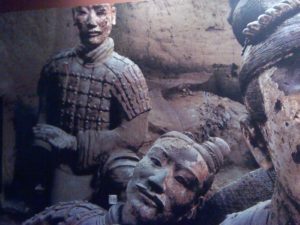 Metaphysical readings with the Tarot and the I-Ching. This entry was posted in Astrology, Full Moon and tagged Astrology, Full Moon, Rocky Mountain National Park. Bookmark the permalink. Loved reading this, Clay. What a journey! 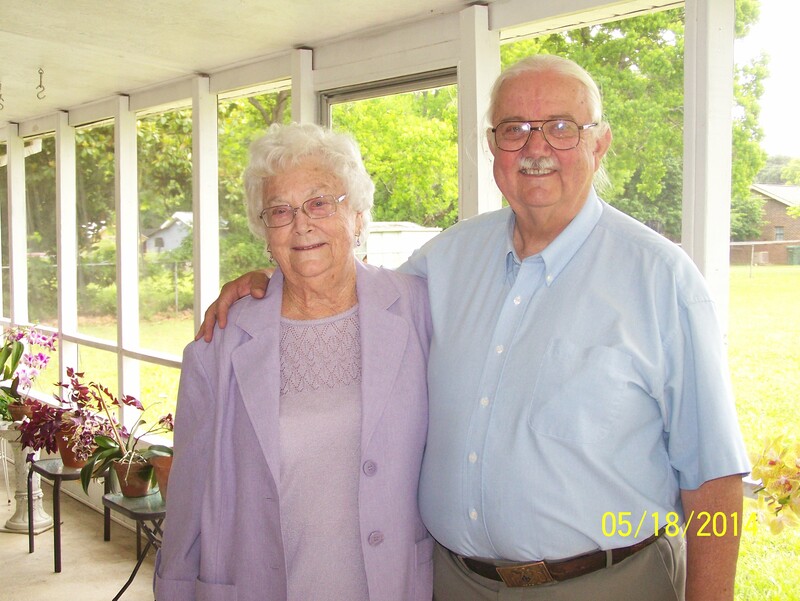 We sure have enjoyed seeing you and Mary Ellen so often this year, and I know your family would say the same. It was great reading about your wonderful journey so far. Great job of putting all of that together. Travel safe and we look forward to seeing you next year. Thanks so much for this great review!!! What an interesting seven months you have had!!! We miss you very very much!!! You can be glad you are missing all pf the very ugly politics commencing here. I just accompanied Talli for a 4 day research/interview project up on Fort Berthold reservation in the Bakkan. What a complex mess they have up there!!!! I hope we can beat the KXL here. Safe travels my friends!!! Thanks Becky. We also miss all of you so very much as well. We do not miss the dysfunctional politics, but it is the same here in Indiana and in the South where we are headed next. It was so awesome to read about your travels! You are both so happy and living in the moment! What an inspiration! We are honored to be on your email list! Thanks Aimee. Mary Ellen sends her love. Thanks, Sandrea. Mary Ellen says hello! A belated happy birthday to both of you. Sounds like great adventures – glad to see you’re following the sun – no sense shivering in the great north when you can be catching rays in the south ( guess you have your own snake boots now) – unless of course you were headed this way. You were right around the corner (sort’a) in Indiana!!!! Road life is good, eh? Love you guys! Hi Norman. Yes, road life is being very good to us. We are blessed to have so many wonderful loving family members everywhere that we go. Clay & Mary Ellen, Thanks for sending this. It was great spending time with you last month. No need to bring snake boots to Hilo. Give a hug to Aunt Donna & Ruth Ann from me when you see them. Safe travels. Thanks, Tom. It was very good to hang out with you and Joe as well. I don’t think snake boots would help against that lava flow! Thank you so much for sharing. It was wonderful to look at the photos of you, Mary Ellen and your family. You two haven’t aged a bit. Enjoyed that you wrote about your journeys so far too. Looking forward to the next installment. Safe travels. Hugs too. Thank you Judiann. Many blessings to you as you travel down the road. Back atcha Kenna. Love you too. Add the rss feed to your reader.